According to the United States Department of Transportation, over 4 million adults in the U.S. have admitted to driving while under the influence of alcohol at least once, totaling an estimated 112 million alcohol-related driving instances, in 2010. Since 2004, all states have adopted a .08 alcohol limit. The .08 limit, coupled with “per se” laws, have greatly reduced the number of alcohol-related episodes on the nation’s roads. In North Carolina, a driver on a highway or public street is “per se” impaired if at a relevant time after driving their breath/blood alcohol concentration is .08 or above. This means the prosecutor does not have to prove that a driver was acting impaired, or that the driver was operating his or her car in a dangerous manner. All the prosecutor has to prove is that the driver was operating a vehicle on a highway when his or her breath/blood alcohol concentration was at or above a .08. North Carolina saw over 35,000 DWI arrests in 2014, highlighting the need for DWI lawyers across the state. However, several counties in our state have seen an increase in DWI case dismissals. While there are various reasons that could explain these incidents, including missteps and mistakes that amount to a violation of rights and protections provided to you by the Constitution and Laws of the State, and other circumstances can often impact having a DWI dismissed or help present a strong position to negotiate a plea. These circumstances and others can be used to build a solid defense for a DWI case. A primary challenge to a DWI arrest lies in the initial stop. Before a law enforcement officer can pull over a vehicle, the officer generally must have “reasonable suspicion” of criminal activity. If an officer sees you break any law, you can be lawfully pulled over. However, circumstances do exist when the prosecutor can prove the officer had “reasonable suspicion” even if the officer did not observe a driver committing a crime. For instance, if the officer sees a driver “weaving” within his or her lane, that itself is not a crime. But the prosecutor may be able to convince the judge that “attendant circumstances,” along with the weaving, made the stop permissible (e.g., it was late at night, driving significantly below the speed limit, a lot of weaving in a short period of time/distance). A criminal defense attorney can challenge whether or not there were enough attendant circumstances along with the defendant’s “weaving” to justify the stop. The next stage of a DWI case is whether or not the officer had “probable cause” to make an arrest. Before making an arrest for DWI, the officer must have probable cause that the driver was driving (i) with an alcohol level at or above an .08, or (ii) while “appreciably impaired.” If a driver is pulled over for speeding 20 mph over the speed limit and then blows a .15 on a properly administered portable breath test (e.g., an Alcosensor), a successful challenge to probable cause will be difficult. 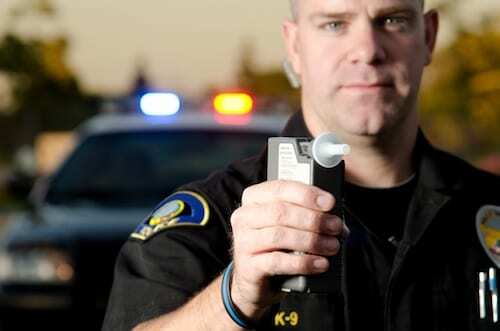 However, if there is no Alcosensor reading at the scene, whether or not the defendant is “appreciably impaired” by alcohol or other drugs may depend on how well the defendant performed on standardized field sobriety tests (SFSTs), and whether the officer properly administered the SFSTs. A criminal defense attorney can challenge whether the officer was properly qualified to administer SFSTs, whether the officer gave the proper instructions, and whether the defendant performed the SFSTs in a manner consistent with being appreciably impaired. Often, you hear that a person “got off on a technicality.” This is a misleading and demeaning statement. As a person living in the United States, you are granted certain rights and protections that are guaranteed to you under the Constitution, as well as state and federal laws. These rights and protections include procedures and rules that police officers and prosecutors must follow to properly present the case against you. For instance, any statement you make after being placed in custody can only be used if you have first been given your “Miranda Rights.” Another example is the procedure for establishing a “chain of custody” when evidence is collected. In the context of a DWI, for example, every person has the right to be forewarned of the consequences of refusing to submit to a chemical analysis of one’s breath or blood. Every person also has the right to call a witness to come observe the breath/blood test, and the officer must follow the proper protocol when testing a defendant’s breath/blood. Failing to advise a defendant of his or her rights, or failing to follow the proper protocol when gathering evidence, can result in the breath/blood test being inadmissible, or even the case being dismissed outright. You need an experienced DWI attorney who knows and understands whether your guaranteed rights and protections have been respected and preserved. The arresting officer’s testimony at trial is usually the most critical part of the State’s case against you. The prosecutor will usually only be able to prove that the defendant is guilty of each element of DWI beyond a reasonable doubt with the officer’s testimony. Successfully cross-examination of an officer at trial is a critical part of any DWI defense, and generally requires the skill of an experienced criminal defense attorney. For instance, if the officer is testifying differently at trial than what the officer wrote in his or her report, then it is up to the criminal defense attorney to challenge any and all discrepancies. Whether any SFSTs were performed, and an objective measure of how the defendant performed on each test. The results of any portable breath test (e.g., “Alcosensor reading: .12”). A “narrative” section which gives the officer a chance to explain why the defendant was pulled over, any spontaneous statements made by the defendant before arrest, and any other relevant circumstances to the arrest such as the defendant having slurred speech and glassy eyes and smelling strongly like an alcoholic beverage. Essentially, the DWIR contains the detailed account of what happened during your arrest, from beginning to end. After a defendant is arrested, there is often additional paperwork associated with the breath test at the police station from a Breathalyzer/Intoximeter instrument. Challenging the officer’s written reports of what transpired may not result in having your DWI dismissed if you’re trying to defend the charge on your own. However, good DWI lawyers will know what statements to look for in the report that may favorably impact your case. Breathalyzers/Intoximeters are typically considered accurate for determining breath alcohol concentration, but they are by no means perfect – or as accurate as a blood test. Some studies have shown breath readings to vary by as much as 15 percent from a blood test. A New Jersey court cited scientific proof of Breathalyzer fallibilities, including high readings due to flaws in the equipment design, changes in results due to the temperature of the equipment and also the tested subjects, and inaccuracies as a result of improper equipment calibrations. Thus, challenging the efficacy and dependability of Breathalyzers is not a far-reaching defense and can possibly be a realistic means by which to escape a conviction. For instance, each breath testing instrument has to be properly calibrated, it must receive routine maintenance, and the breath test can only be administered by a “certified chemical analyst.” If any of these prerequisites are not met, the State may not be able to convict the defendant of DWI. As with any legal situation, the first step in understanding your rights is to talk to an attorney. If you need an experienced attorney to help you build a strong defense for your DWI case, contact us for a consultation to speak with one of our experienced DWI lawyers.